Politix's Helston burgundy chinos are the style upgrade your wardrobe's been waiting for. 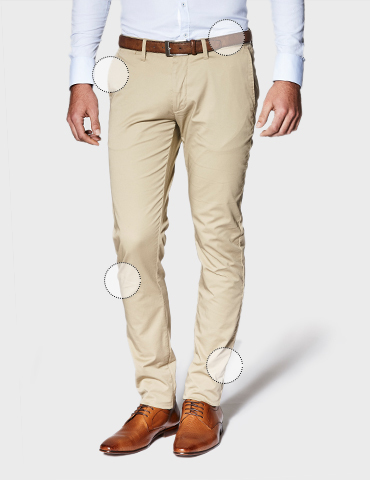 For every occasion in the dress casual spectrum, these chinos stride effortlessly sharp with their slim tapered design and new season stretch fabrics. For a modern weekend look, pair these cool burgundy chinos with Politix's new season leather loafers. We aim to get your order to you as soon as possible. Orders are normally shipped between 1 – 3 business days. You will receive a shipping confirmation email as soon as your order leaves our warehouse. Please note your order may take longer to be delivered during the Sale period. Rural and remote areas may take longer. We must have your complete and correct addresses, including a company name where necessary, and at least one contact telephone number. To guarantee delivery, there must be someone to receive the goods between 9am – 5pm. Please note: We do not deliver to PO BOX addresses. If goods you have ordered are out of stock, you shall be notified as soon as possible. Your payment will be immediately refunded to your credit card. We now offer International delivieries to selected countries. Please note the International delivery fee excludes taxes and duties. The signature Politix chino cut, crafted in every colour under the sartorial sun. We’ve taken design and fabric, and engineered it for a sharp fit to deliver our most versatile chino cut yet. A mid rise pant seat allows for a slim fit that has room for Kardashian squats. For the guy with booty or none, mid rise has you covered. From knee to hem the ankle tapers to a slim shape, crafting a modern chino that works brilliantly across dress and casual wardrobes. 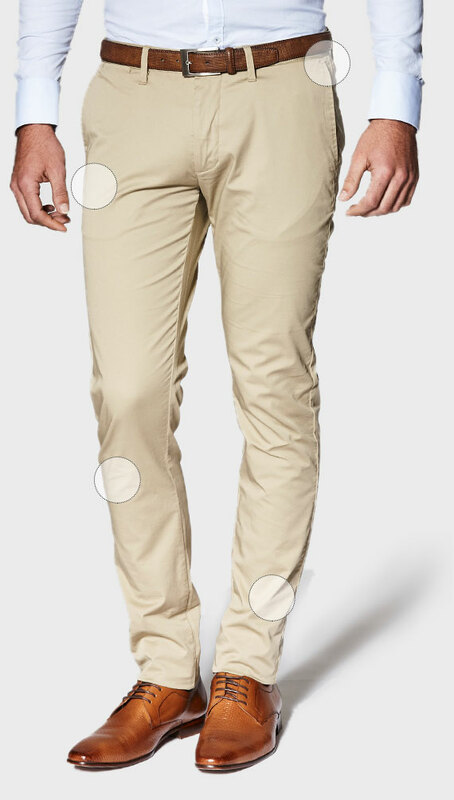 Cut close around the thigh for a natural fit that’s not too loose and not too tight. Like Goldilocks would say, it’s just right. Like a true chino master, our stretch fabrics are chosen to deliver the perfect balance between slim fit and everyday movement. Tight weave and dense construction means fast fabric recovery, so you’re always ready to stride sharp. Find the right colour for any occasion and enjoy your favourite chino cut in multiple sartorial hues.